Do you hate when the bread in you breakfast Strata gets soggy? Then you’ve got to make Bubble Up Breakfast Casserole! It’s easy, delicious and can even be made ahead! This is a sponsored conversation on behalf of the al fresco All Natural Chicken Sausage. As always, all opinions are my own. Thank you for supporting the organizations that help support this blog. This post contains Affiliate Links. This post contains Affiliate Links. Please see the disclaimer here. Spring is a time where a variety of brunch opportunities present themselves and I’m pretty happy about that. Brunch is, without a doubt, my favorite meal of the day. It’s in the morning, but generally not early enough to make it tough to wake up. You typically get a great combination of breakfast and lunch foods and still have a great excuse to eat dessert in the morning. And then you often have the rest of the day to do what you please! 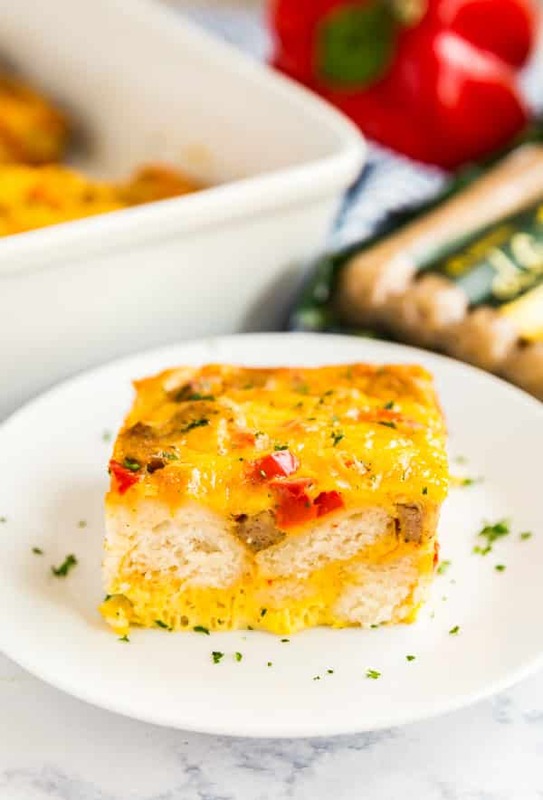 Since I’ve been getting a ton of requests for more brunch options I knew an easy breakfast casserole recipe needed to happen! And since you guys have been loving my Dump Recipe series I was thinking in terms of how to make it easier. So while this isn’t technically a dump-and-go recipe (there is a little pre-cooking) it’s a great make ahead recipe. That way you can throw it together the night before and then bake it the next morning. When I’m feeding my family, a huge priority for me is using really good ingredients. The concept of good ingredients means different things to different people. for me, it really comes down high-quality ingredients that taste good and are good for you. One of the things I love about al fresco All Natural Chicken Sausage is that they are firm believers that people shouldn’t have to choose between food that’s good and food that’s good for them. Their all natural chicken products are full of fantastic flavor while also being healthy. In fact, they’re the #1 chicken sausage brand in the U.S.! The al fresco All Natural Chicken Sausage includes over 40 different varieties of chicken products. They’re made with 70% less fat than pork sausage without any nitrites, nitrates, preservatives, artificial ingredients and in most products, gluten. But they don’t sacrifice flavor. So you can feel good about serving them to your loved one’s while also feeling a sense of pride for providing such a delicious meal! For this recipe, I tested it a few times with both al fresco All Natural Country Style Chicken Breakfast Sausage and al fresco All Natural Apple Maple Chicken Breakfast Sausage. It tasted great both ways, it just depends on whether you want it to be really savory or have a touch of sweetness. I also want to give a shout-out to al fresco All Natural Fully Cooked Dinner Sausage. 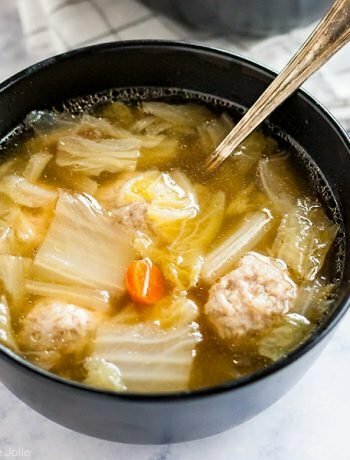 They come in 10 different, delicious flavors and are the perfect way to get a quick and healthy dinner on the table that your family is sure to love! I like to dice the the onion up pretty fine for this. For the sausage, I slice it down the middle length-wise and then cut into slices. I know it’s tempting to skip sautéing the veggies and sausage. Don’t skip this step. It helps soften the veggies up a tad and deepens the great sausage flavor. Be sure to cool the veggies and sausage before adding to other ingredients so you don’t cook the eggs. Spray the baking pan with non-stick cooking spray to prevent sticking. Cut each refrigerated biscuit into quarters and scatter over the bottom of the pan. Top with the veggie and sausage mixture and then shredded cheese. Be sure to whisk the egg mixture really well and pour over the pan. At this point you can bake right away or cover and refrigerate and bake in the morning. Can you make breakfast casserole in advance? Yes, but you don’t have to. It can be make ahead or baked right away. Can you freeze breakfast casseroles? Yes, but I’d recommend freezing after baking and slicing. for a couple months. How long is breakfast casserole good in the fridge? 3-4 days covered. Can you reheat breakfast casserole? Yes, either in the oven or microwave. 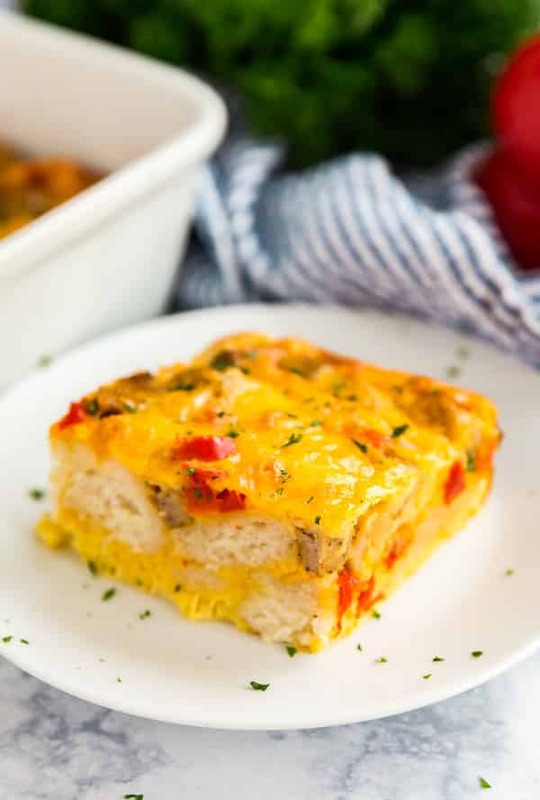 Do you hate when the bread in you breakfast Strata gets soggy? Then you've got to make Bubble Up Breakfast Casserole! It's easy, delicious and can even be made ahead! Spray a large saute pan and a 9" x 13" baking pan with cooking spray. Set the baking pan aside and heat the saute pan over medium high heat. Add onion, bell pepper and al fresco All Natural Country Style Chicken Breakfast Sausage to the pan and saute stirring frequently until vegetables have softened a bit and sausage pieces are just starting to brown, about 5-7 minutes. Remove from heat and cool. While the sausage mixture cools, whisk together eggs, half and half, salt, pepper, paprika, garlic powder and nutmeg until well combined. Set aside. Scatter the biscuit pieces over the bottom of the baking pan and top in an even layer with the cooled sausage mixture. Sprinkle with shredded cheddar evenly over the pan. Pour the egg mixture over the top of the baking pan. If making ahead, cover and chill over night in the refrigerator. When you're ready to bake, preheat the oven to 350 degrees. Bake uncovered for 45 minutes. Cool slightly and serve immediately with a sprinkle of chopped parsley. April 11, 2019 at 8:35 pm This will be a sure hit for breakfast!! /yum! April 14, 2019 at 2:37 pm Thanks Toni!